The Yellin House was built in 1890 by Joshua Yellin, son of a family from Jerusalem’s Old City. Yellin believed that the future of the Jewish community depended on its ability to support itself, and encouraged them to learn productive agriculture work. The house he built is one of the first signs of the sociological changes in the Jewish community of Jerusalem in the late 19th century. The house stands in the heart of a large rural area, with orchards and ancient olive trees, a vineyard, and a patch of rare wild plums. Remains of a Byzantine era building discovered on the site were rebuilt during the Ottoman period as a travelers’ inn. Later, it became the old synagogue of Motza. After years of neglect, the house was renovated in 2006 by the Society for Preservation of Israel Heritage Sites, and opened to the public. At the visitors center you can experience the authentic lifestyle of the end of the 19th century, hear the exciting story of the Yellin family, and learn about the establishment of Motza. The Yellin house is located 5 minutes from Jerusalem, off Highway 1. We visited this place in one of tours and found out that it could be a lovely place for out door Birthday celebration mainly for Israelis. It is one of the first settlements of jews outside the walls of old Jerusalem. Visitors can enjoy the beautiful garden in the back of the House and combine it with a 40 minutes film on the history of the place. My family have visited Israel dozens of times but we had never heard of the Yellin House, as it is a recently conserved historical site. 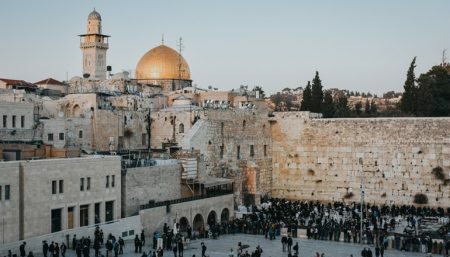 It is situated only a short taxi ride out of Jerusalem's center. It is always a delight to discover a new (well, old!) place to visit in Israel. The guide was informative and interesting, telling us about early pioneers and how they lived. We spent about an hour and a half listening to the guide and walking around the grounds. We then visited their charming cafe and had excellent coffee and pastries. All in all a very satisfying and informative visit- even the teenagers with us gave a thumbs up!